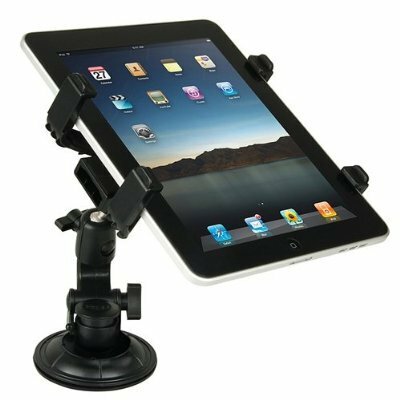 he iPad 2 car mount bracket is a perfect accessory for car passengers and transform the back seat into a digital entertainment hub. It is good for keeping backseat passengers relax while allowing the driver to concentrate on the road without any disturbance. It provides a safe and stable place for your iPad. The 360-degree rotation and tilt feature allows the iPad 2 screen to be angled vertically or horizontally for perfect glare free viewing. 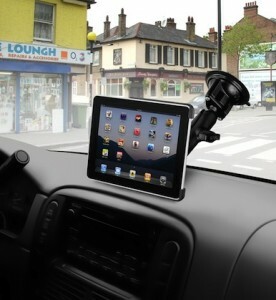 It is specially designed for iPad 2 only. 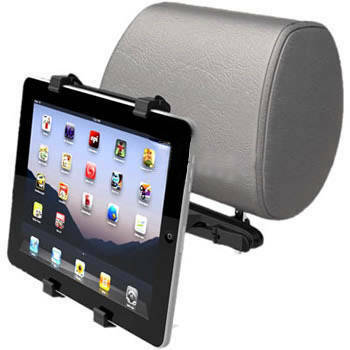 you can keep the iPad safe without worrying about the damages of iPad during driving. Mainly use in cars, also suitable to use on other smooth surface such as desk, table, glass etc. If you want an iPad holder that easy to take anywhere.